A home away from home has many demanding power drains that can provide a great deal of wear and tear on a heavily used battery. SPB offer you a variety of recreation batteries depending on your usage, discharge capabilities and wants. Have a dependable line of true high cycle batteries that have been especially made to withstand demanding Recreational use. Instead of just focusing on one aspect of the battery’s design to enhance deep cycle performance, these batteries incorporate multiple features that make it one tough unit in many instances, one type of power just isn’t enough to meet the multiple demands of a Recreational vehicle. They are Dual fit. These dual purpose batteries are the ideal compromise between high starting and moderate deep cycle service. Delivering more power-per-pound with reinforced components, they provide significantly longer cycling service than standard automotive starting batteries, which means more accessory power longer to handle the many creature comforts of recreational use. 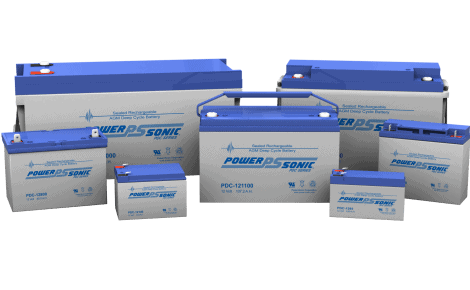 Caravan and Recreational vehicle owners need a premium AGM battery of the Power-Sonic PDC Range of batteries. 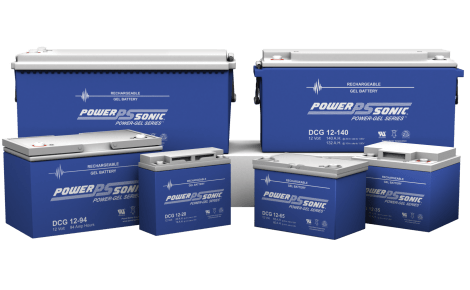 From starting performance to dependable accessory power, PDC batteries don’t have any trouble in meeting caravan and recreational vehicle needs. A premium spill proof design brings essential convenience and safety to the travel enthusiast. 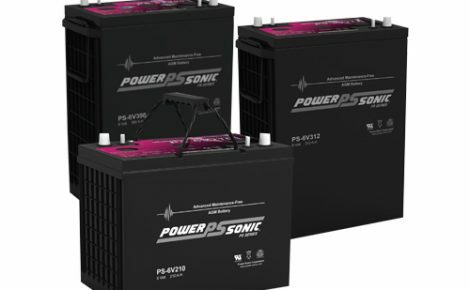 Power-Sonic PDC of AGM Deep Cycle batteries are Designed-In Reliability to provide true deep cycle performance in deep discharge situations. This is achieved by providing oversize negative plates and a specialised paste formulation to provide consistent and dependable performance plus ensuring the battery has the ability to recover from excessively deep discharge. Built to withstand the rough conditions and constant discharge of a recreational life. They are manufactured from a light weight shock and acid resistant PP Resin for increased safety. 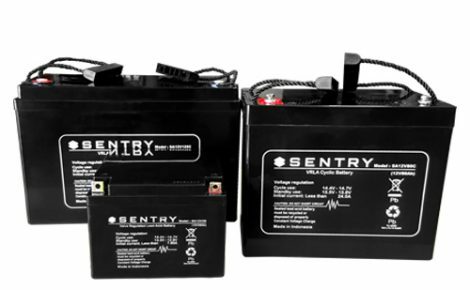 Sentry’s unique design simplifies the battery’s watering systems and maximises the performance and life of maintain the Sentry takes the guesswork out of the watering process. Once installed, a complete set of batteries can be filled in less than 30 seconds. Whatever your choice of recreation activity, we have a suitable battery in our extensive range to suit most applications. The special gelled electrolyte of the Power-Sonic Deep Cycle Gel (DCG) range which is more tolerate to drying out makes them ideal for tighter space requirements and higher temperature environments and able to withstand higher levels of vibration. Power-Sonic deep cycle PDC range is purpose built for those applications which require regular and consistent cycling (charge and dis-charge). Commonly called deep cycling the oversized negative plates and a specialised paste formulation of the PDC can provide constant power for longer periods of time without shortening the life of the battery. The Power-Sonic range of AGM VRLA batteries are manufactured with Absorbent Glass Mat (AGM) technology for superior performance allowing greater cyclic performance, enhanced overcharge endurance and excellent recovery form over discharge situations. Sentry Lithium is a premium range of the highest quality Lithium Iron Phosphate (LiFePO4) composition. Lithium Iron Phosphate (LiFePO4) was selected for our Sentry range due to its inherent safety features.